Enigma was mandated to organize Salvation Army’s strategic communication for 2014-2018. The objective was to find a long-term solution with employees, built on previous strategies. With annual sales of more than CHF 180 million, the Salvation Army is one of Switzerland’s largest non-profit organizations. It works globally in 127 different countries and has been in existence for 150 years. Its strategic process spans a four-year period, and Enigma was commissioned to devise the strategic communication for 2014 to 2018. The objective was to find a long-term solution for strategic communication with all employees by building on the strategy of the previous period. The challenge lay in the diversity of the services the Salvation Army provides, which range from a variety of Christian services for all ages to social projects, drug withdrawal and second-hand shops. It was important to find a media mix and a language capable of taking all of this into account. Enigma took the wording of the preceding period’s communication strategy, ‘Soup, soap, salvation – today!’ and adapted only the last word to read ‘Soup, soap, salvation – sincere!’ While the strategic focus previously lay on displaying a modern Salvation Army, the current strategy puts the focus on the heartfelt way with which employees and volunteers approach their work. A stand-up display in which a spoon is integrated was created as the main element. With its imagery, it connects both to the Christian aspects of the Salvation Army (a young woman in uniform) as well as the social work it does (advertising poster of the organization). The remaining content typographically visualizes ‘Soup, soap, salvation’ in the language of each territory (German, French and Hungarian) and emphasizes the elements that constitute the heartfelt sincerity of the organization. Being a practical organization, pictograms on one page of the stand-up display give instructions on how it can be simply assembled and mounted with a paper clip to become an eye-catcher in the workplace, the community or social institution. Three specific ways are also given as to how everyone can quickly help to bring the strategy to life − by going online to learn more, by encouraging each another and by including the Salvation Army in their personal prayers. To bring the strategy to life and connect the strategic direction to daily tasks, Enigma developed a website giving employees the possibility of sharing their small (heartfelt and sincere) everyday activities in order to accompany the four-year process and let employees, members and supporters be a part of it. In a blog on the website, those responsible from the management can post comments on the strategic process and share important events with their target audience. 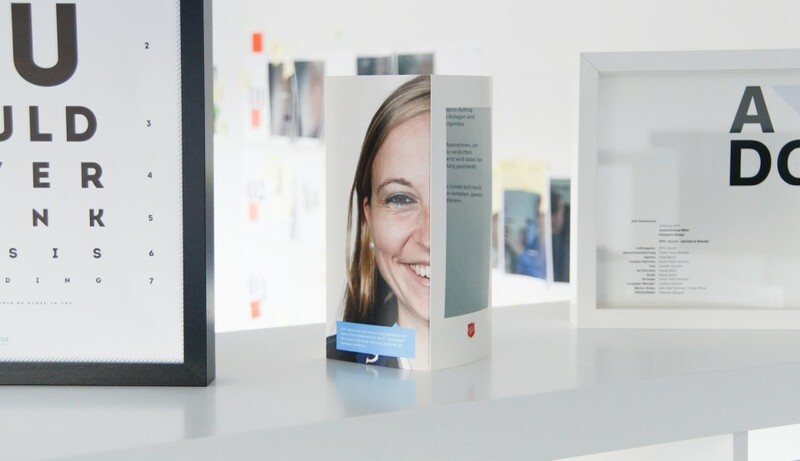 As a playful element and follow-up to mark the half-way period of the strategic process, Enigma has planned for a photo board to be set up that allows for identification with the organization in a humorous way − for both internal and external audiences. By combining the decorative and at the same time symbolic stand-up display with the spoon together with the website (which can be maintained dynamically), the strategy has become an everyday eye-catcher and will stay current throughout the entire strategy period. 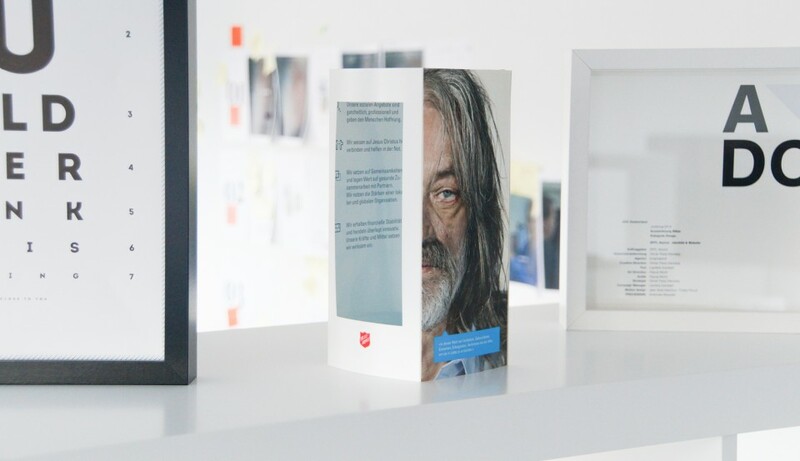 The stand-up displays are shown in the entrances and offices of more than 150 locations in Switzerland, Austria and Hungary and help to strengthen the solidarity between the three countries, which organizationally are within the same territory. The invitation to coworkers, members and friends to actively participate in shaping the strategy ultimately serves to successfully implement it. It focuses not on the management, but on the grass roots of the organization.